Online intrusions detection and tracking in a visual environment allowing operators to maintain a shared situation awareness in real-time. 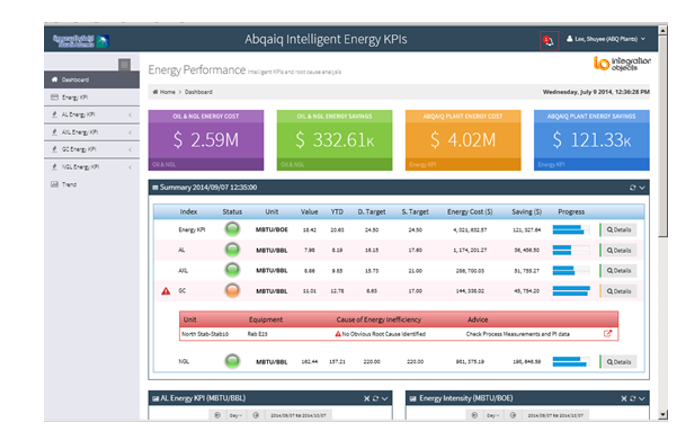 Intelligent operational performance dashboards and analytics using data visualization, correlations, and KPIs. 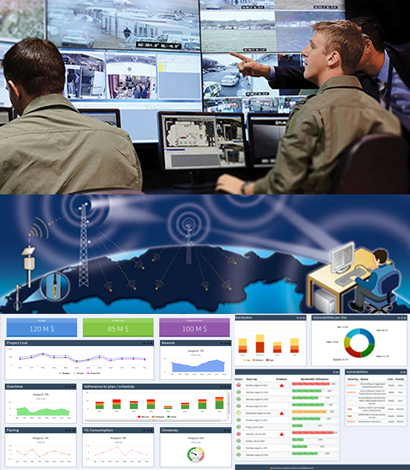 Infrastructure health monitoring including network equipment, servers, radars, camera, diesel generators, solar panels and thus allowing operators to predict issues on their assets before they impact the surveillance system availability. Collaborative environment for real-time notifications, operations advisories, corrective actions, and best practices, using interactive workflows.